All detached accommodations at the spacious Bergumermeer Holidaypark is situated for optimum enjoyment. You can choose from a variety of accommodations, so there is sure to be one to suit every taste. The 6-person chalet (NL-9262-11) is ideal for a family. This variant will be located either close to the marina or in the middle of the park near a small playground. You can call to request whichever you prefer. 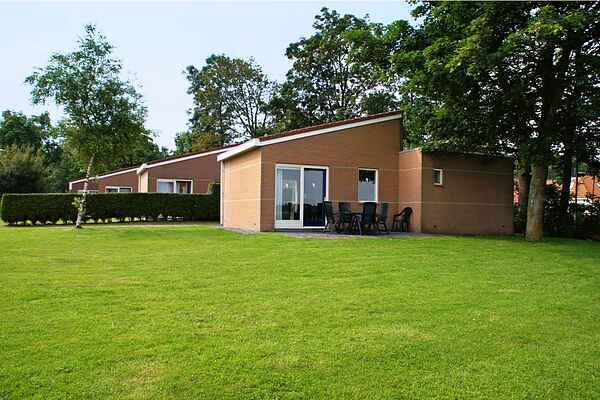 The single-storey bungalows (NL-9262-10) are comfortably furnished and situated at the mouth of Prinses Margriet Canal. There are 2 types of two-storey holiday houses. There are also 6-person (NL-9262-14) (NL-9262-13) villa's located almost directly on the canal. Every accommodation in this holiday park has its own garden/terrace with garden furniture.